this looks wonderful. 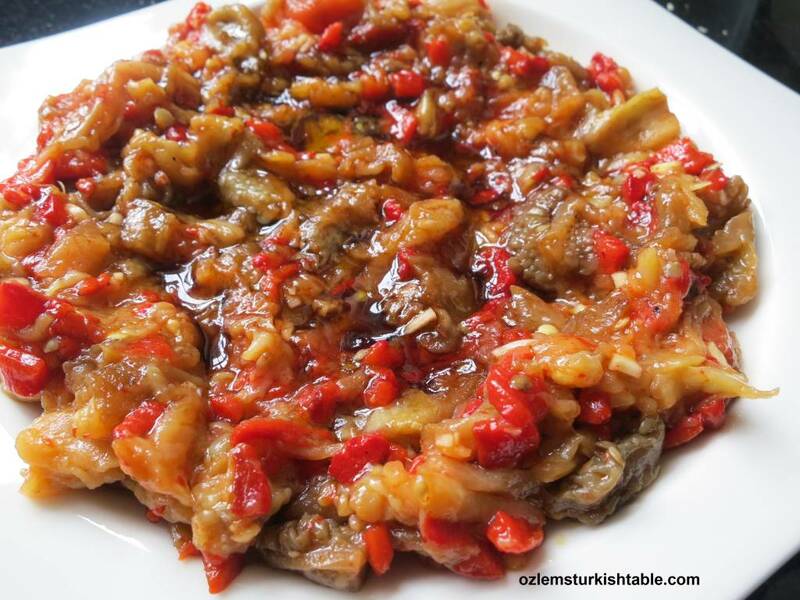 i love good baba ghannoush.the best i ever tasted was prepared by a turkish woman in toronto. she roasted the eggplant and just added lemon, oil and salt and pepper. it had a rich roasted flavor and was heavenly. Thank you Jaz, simplicity is the key I think; a few good ingredients, a nice dressing and you get a smashing dish – that’s how i feel about baba ghanoush. Glad you enjoyed yours! 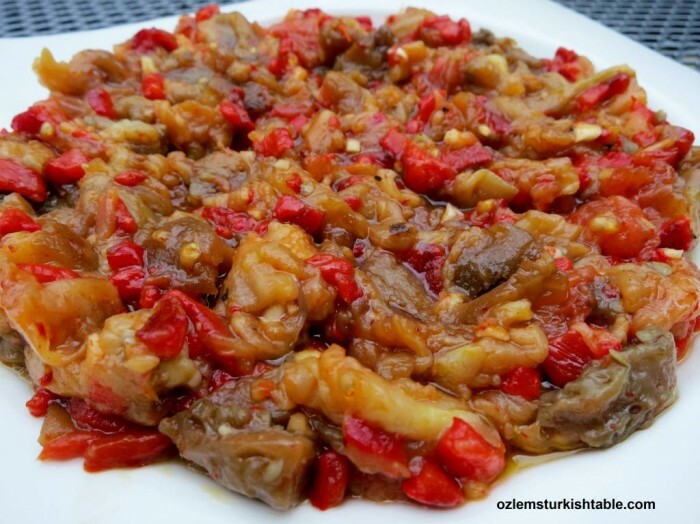 Delightful to have this recipe, Ozlem, it’s one of the few ways I enjoy eating aubergine. A must try:) xxPeri. Really, what would the world do if aubergines didn’t exist?! That’s what I always think, anyway. 😉 This looks like a lovely version. Dear Ozlem, I came here from “Cuisine de provence” and I must say that I am very happy I did. 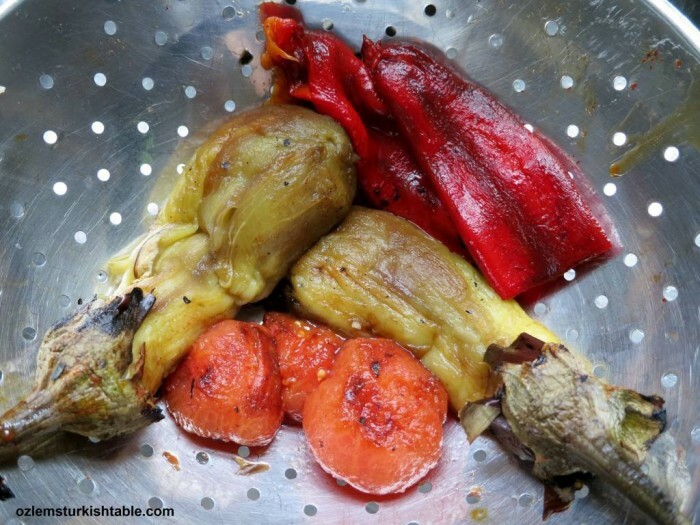 Love your recipes and your blog – so many great ideas and photos – your recipe for baba ghanoush withthe final touch of pomegranate molasses sounds wonderful – these ingredienst are also easy to find in Turkish markets around here so I am looking forward to following you along and trying out some of your lovely recipes! Thanks for sharing! 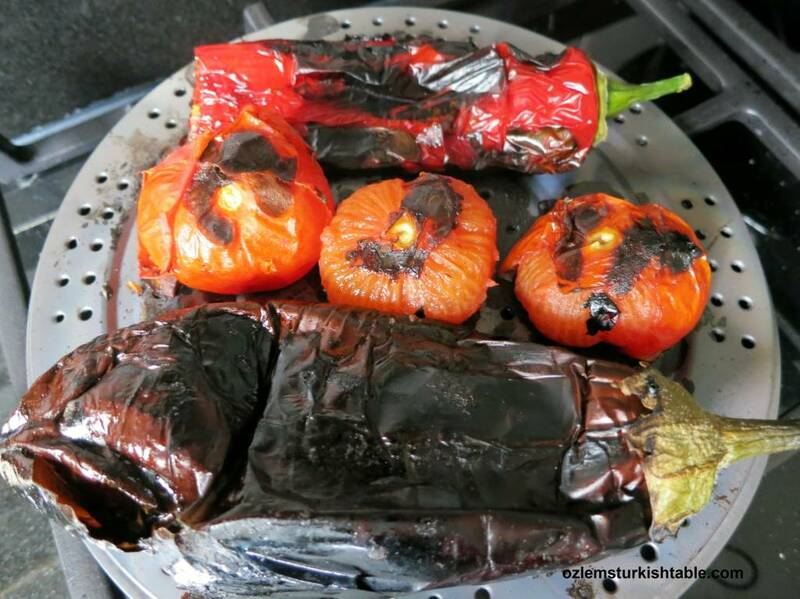 Hi Ozlem, I’ve never added roasted papers but now you suggest it, of course it is a perfect addition. Wow, I would love one of those kozmatiks! I can’t find much about it. Do you know where one might be able to buy one online? Merhaba Kim, I am afraid this is quite a local, simple gadget – not sure you can find online. If you have a Turkish or Middle Eastern store nearby, they may carry though. If you ever travel back to Turkey, it really is worth getting – such a good value and you get a lot of use! Big fan of your site and thanks for all the wonderful recipes you’ve shared (and extra inches to my waist!). I’m afraid I can’t find the Kozmatik locally here in the States either, although I will be traveling to Istanbul in near future. If I can’t find it anywhere online, do you happen to know which stores in Istanbul might carry it? Thanks! Many thanks for your kind note, I am delighted to hear you are enjoying the recipes : ) Re Kozmatik, unfortunately it is hard to find abroad. it is actually such a simple gadget, a simple steel base with holes in it. In Istanbul I would look at the small scale kitchenware and copper ware shops just outside of Spice Market. Some supermarkets also carry it too, though mainly small scale kitchenware shops. All the best, have a wonderful time in Istanbul! I am trying to prepare your recipe as I type! I lived in Adana for 2 years and had some if the most delicious food along with falling in love with the people and culture. I miss it so much so I hope this turns out well! Merhaba Hope, how lovely to find your note, do hope you enjoyed making babaghanounsh and it brought happy memories of your time in Adana, afiyet olsun!